“The information in this book is either nonsense or it is the most centrally important thing that you could possibly learn. It is allegedly the answer to the strange riddle of the UFO's. The information contained herein is not speculation or theory, but a condensation and edited arrangement of received communications from the UFOs. The obvious weakness of this contactee information is that evidential proof of its validity is not obtainable. Its strength lies in its sheer bulk and in the similarity of messages produced by sources widely scattered around the world. 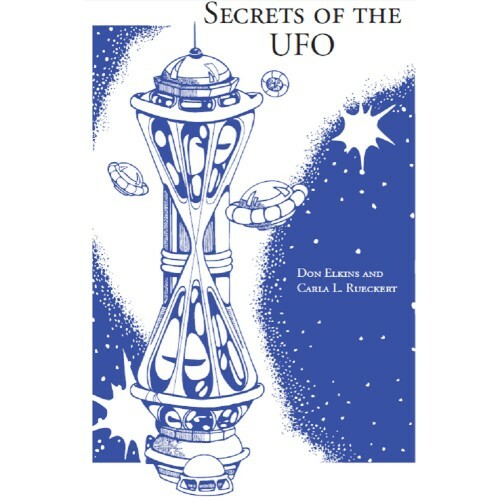 The last 25 years have produced millions of words of these communications allegedly originating within the UFOs. “Approximately 15 million people in the U.S. have reported seeing UFOs, more than 2000 contact cases have been reported, and about 700 landings have left trace evidence. There is no longer any real doubt that UFOs exist. The question is: Who are they? And why are they here? It is quite possible that understanding them is the most important endeavor which we can undertake. “A ufologist is a detective who is exploring the single largest mystery of our time. As he wends his way through the elaborate maze of red herrings, misinformation, cover–ups, fanatics, skeptics, true believers and nonbelievers, he my well find that his most valuable ally in his search is a good sense of humor.